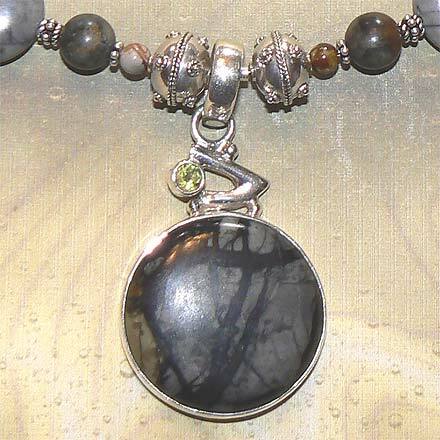 Sterling Silver Picasso Jasper and Peridot Necklace. See Closeup. 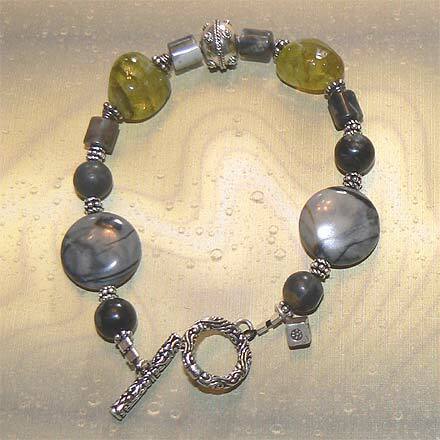 Sterling Silver Picasso Jasper and Peridot Bracelet. The colors in this set remind me of the colors of the grey-striped tabby cats that have been in my life and their beautiful yellow-green eyes. Those glowing chartruese pebbles are Peridot nuggets, and they are gorgeous! 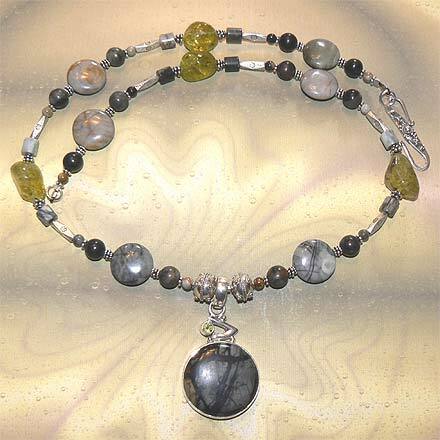 For those who are interested in Astrological significances of stones, Jasper corresponds with Virgo and Leo, and Peridot corresponds with Libra and with the month of August.